This is what it’s supposed to look like. Instead of reading her a story, I laid down with my eight-year old, Ella, and I told her about the Boston Marathon that would take place the next morning. I told her it is the most popular and iconic marathon in the world, it is the crowning glory for thousands of runners, who log hundreds of solitary miles in preparation. It overtakes the city for the weekend, packing out the world famous pasta joints in the north end and clogging Logan International with runner-clad travelers. It has an atmosphere all of its own, uniquely Bostonian, and someday, I hope she will experience it first hand, and I will come and cheer her on. It is chilling and saddening to think this very same conversation could easily have been repeated in the household of eight-year old victim, Martin Richard. It’s been three years since I ran Boston, and being there was a dream come true – as boring as that sounds it is crazily accurate. A seed was planted in my head with a surprisingly fast (for me) half marathon time. That was it. This odd thing on my computer screen told me I could qualify for Boston, and I decided it would be foolish of me not to try; computers aren’t dumb. I trained, qualified, and registered for the race I had always dreamed of doing, but never believed I could. I tell you this because people who are not runners may not realize that Boston is more than a race, it’s a lofty badge of honour. In racing terms, my result was disappointing, but the experience of running it was anything but. Every mile was filled with laughter and inspiration, and kinship with the other runners in my midst. Some things you can’t put a clock to, Boston being chief among them. I didn’t want that race, that journey filled with people – the very best of people – running into their dreams, to ever end. And so, for someone to mar this event, this moment for thousands of amateur runners like myself, who feel like running Boston is the closest they will come to glory on a grand stage, is particularly vile and upsetting. For its victims and their families, their worlds stopped yesterday, and for those people we collectively grieve and mourn. Yet, I can’t stop replaying the images of the hundreds of people trying to help. To all those who didn’t think of dangerous consequences, and selflessly did what they could for the injured, thank you thank you thank you for your bravery. You give us hope. So for me, Boston will still be Boston, filled with unlikely heroes and courageous runners, spectators and officials alike. And maybe one day, my daughter will run this marathon, and I will stand on Boyleston Street and cheer her on. I know you would have been one of those helpers if you were there – thanks Dave, fly safe. Hey thanks – and yes, so much beauty in the resilience of the human spirit. Mr. Fred Rogers advice in moments such as this is “to look for the helpers. There are always helpers in these situations. Take time to look for them and it will help to ease the pain.” I am glad he was my neighbor! Great post! Keep your head up! Lucky you – and I love his optimistic outlook, we should all have such vision. 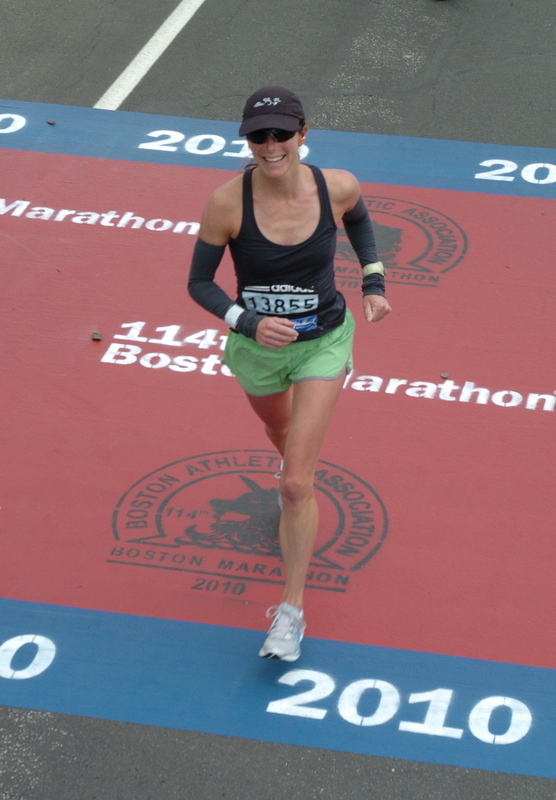 Dee – I thought of you, and all my friends who have run that marathon, and all my friends who live in Boston. I love your perspective – and I love that city. Take care my friend. Barb! Yes, I remember also how much you loved your time in Boston, it must have been particularly shattering to have close ties to the city. Be well, I miss you.